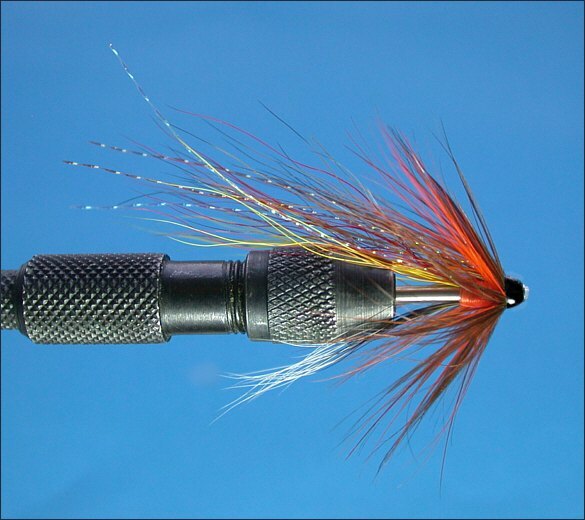 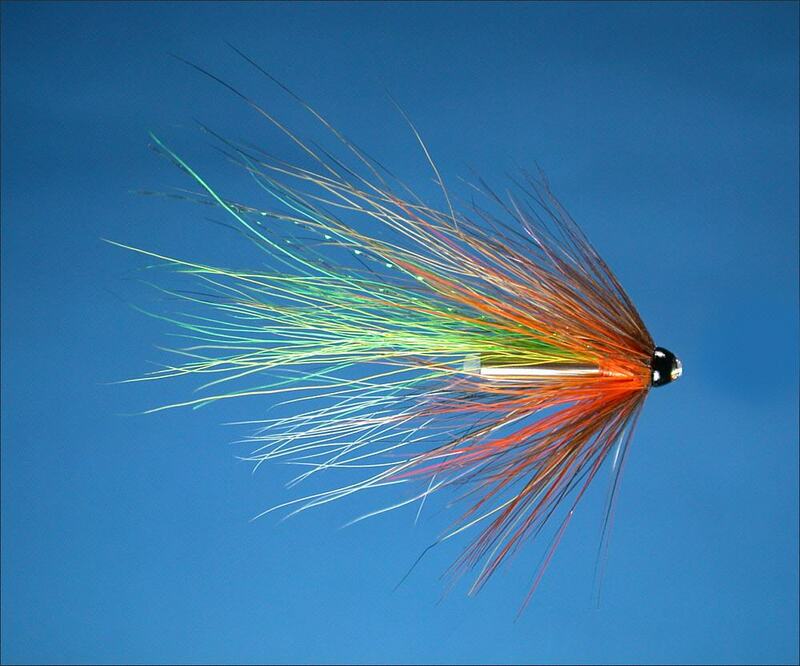 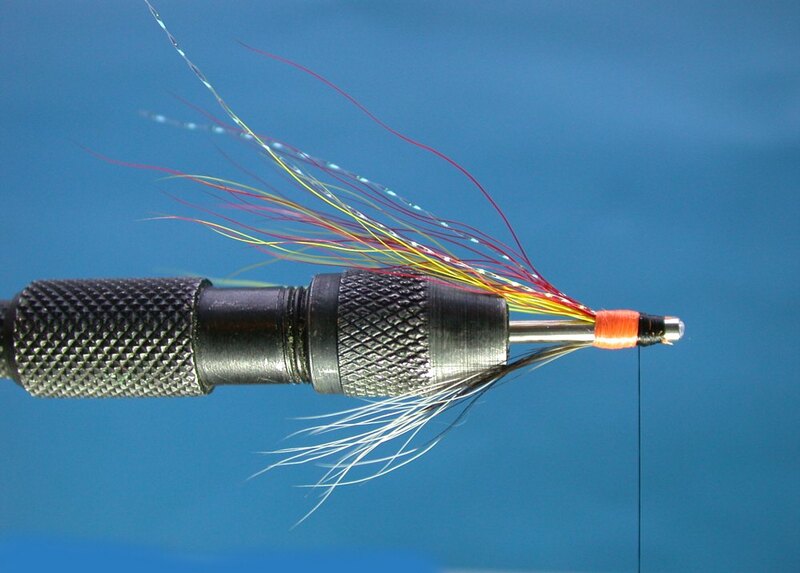 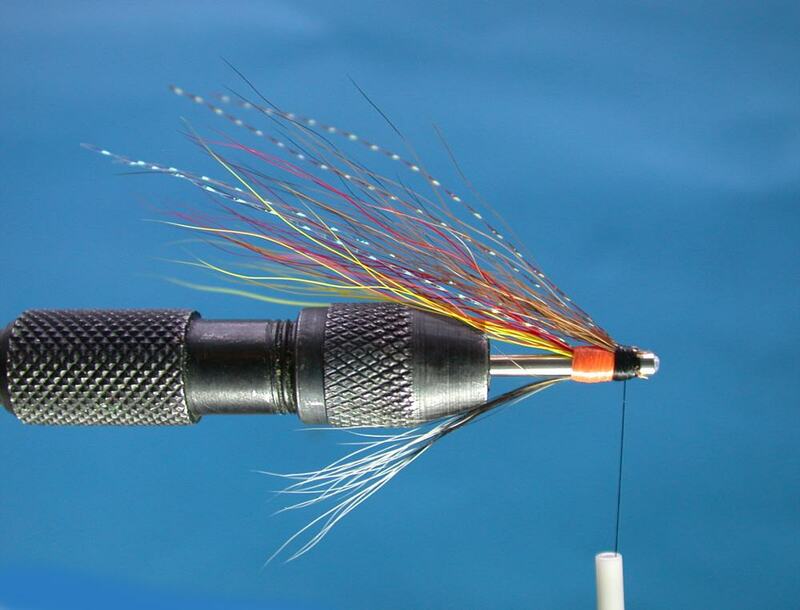 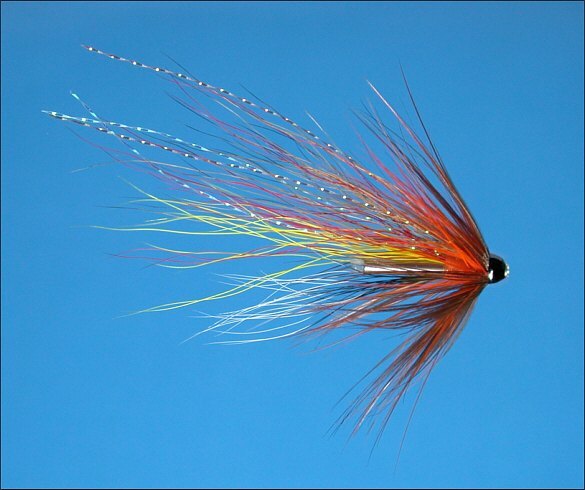 Below is a step-by-step tying sequence of a variant of the classic Dusty Miller salmon fly. 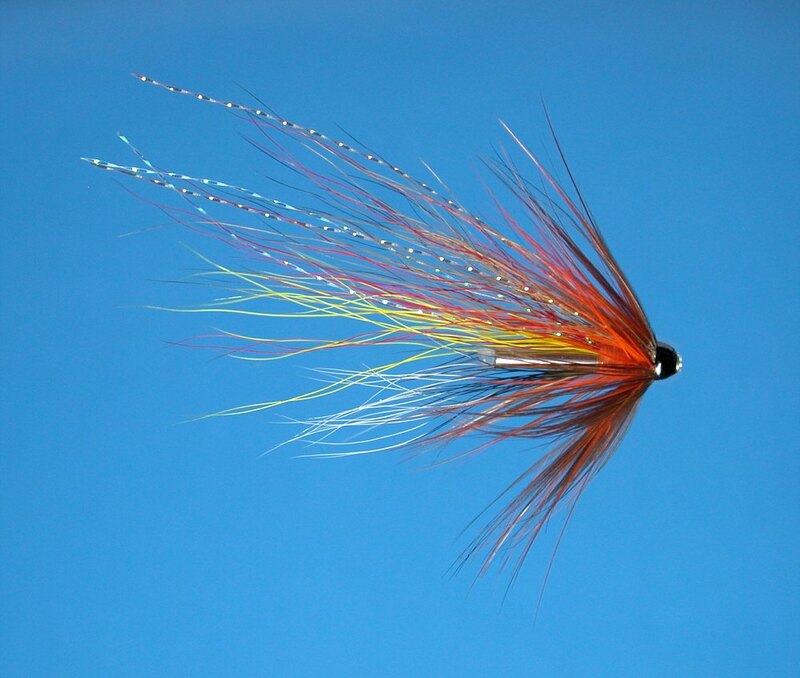 It has been much simplified in line with the modern style of long tailed shrimp style flies such as Ally Gowans's famous Cascade salmon fly. 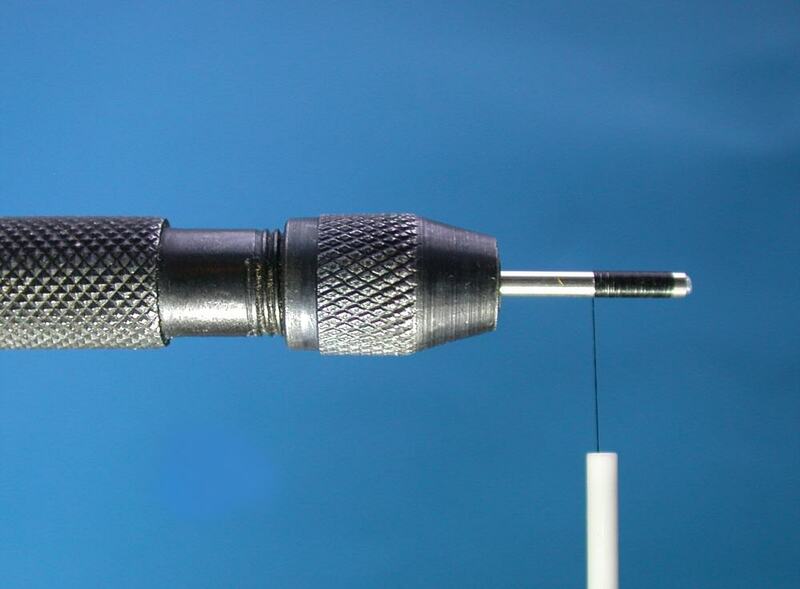 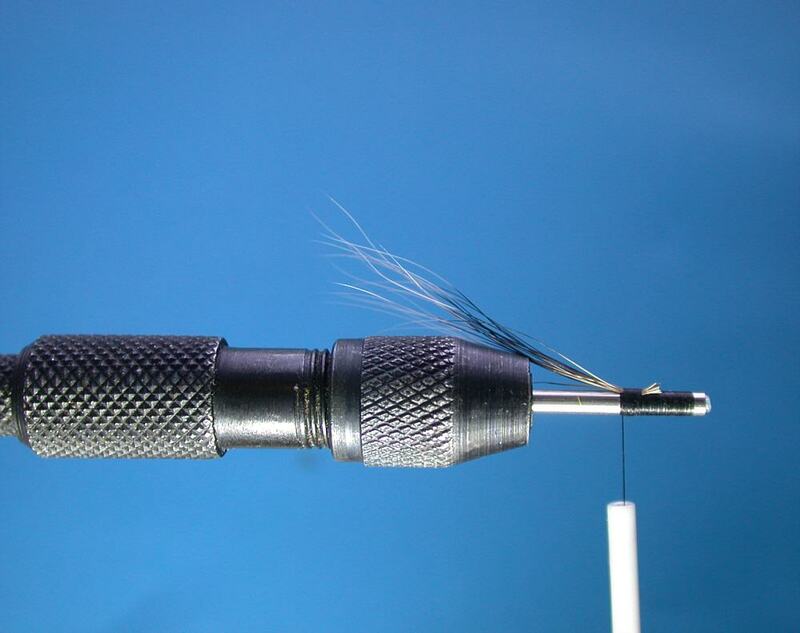 Step 1 - Place needle tube in tube fly vice and wind a bed of black tying thread about one third of the way along. Step 2 - Tie in a sparse bunch of natural squirrel tail. 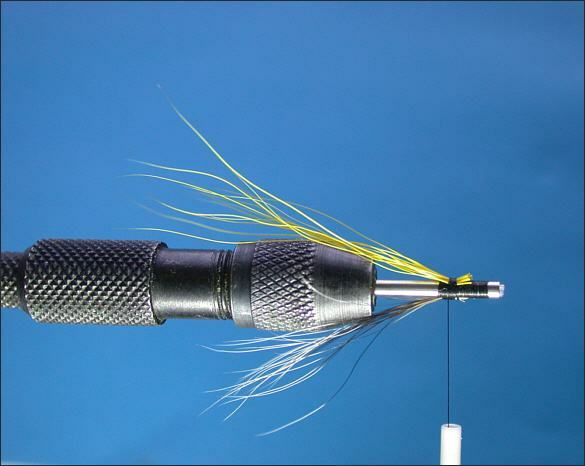 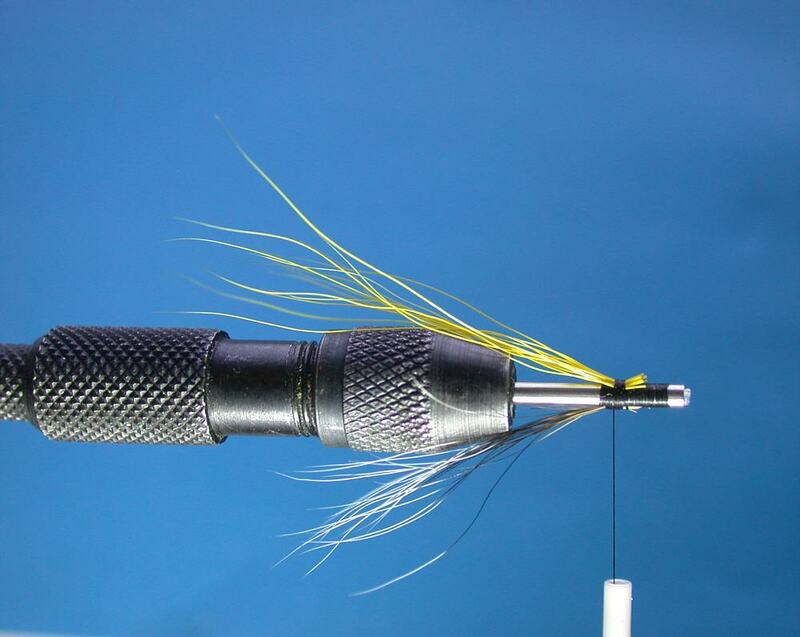 Step 3 - Rotate the vice through 180 degrees and tie in a sparse bunch of yellow bucktail. 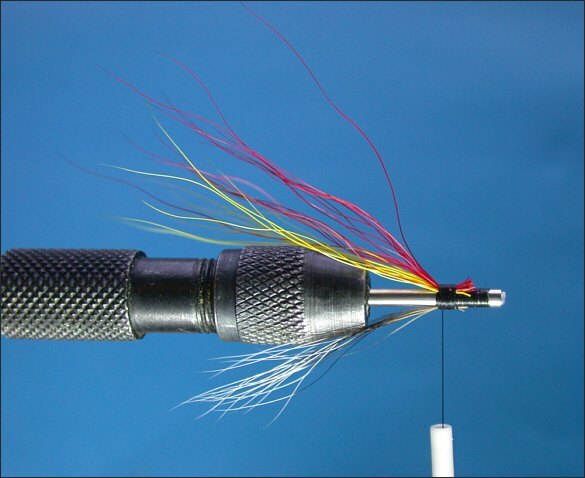 Step 4 - Tie in a sparse bunch of red bucktail. 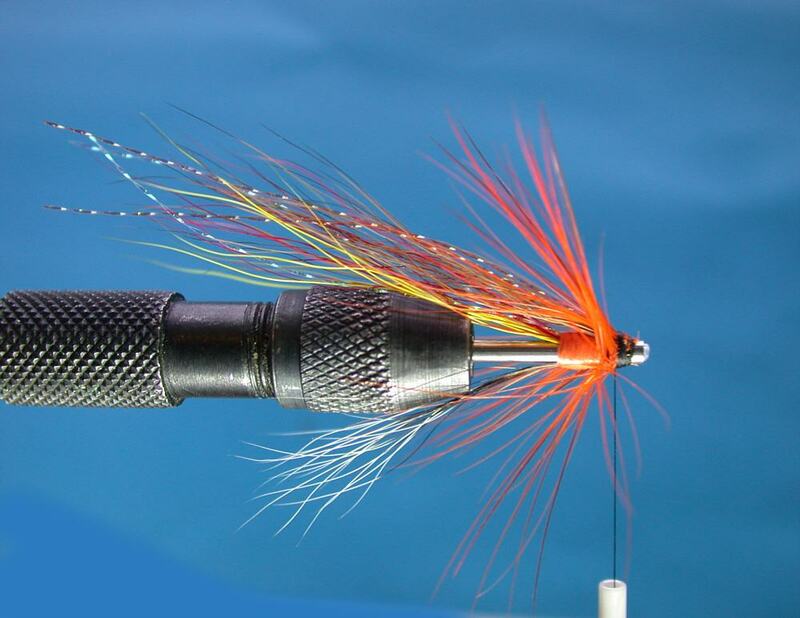 Step 5 - Add a few strands of pearl Krystal Flash (or other flashy material) to taste and tie in a short body of fluorescent orange floss. 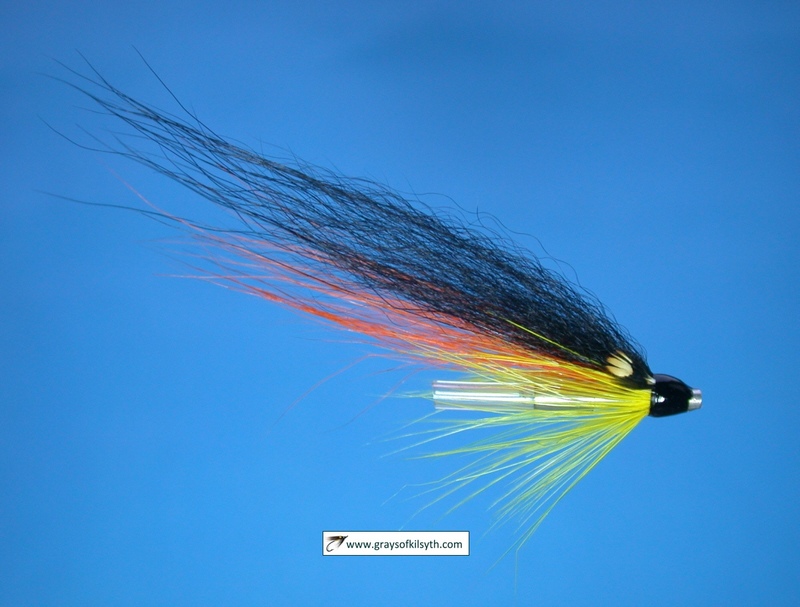 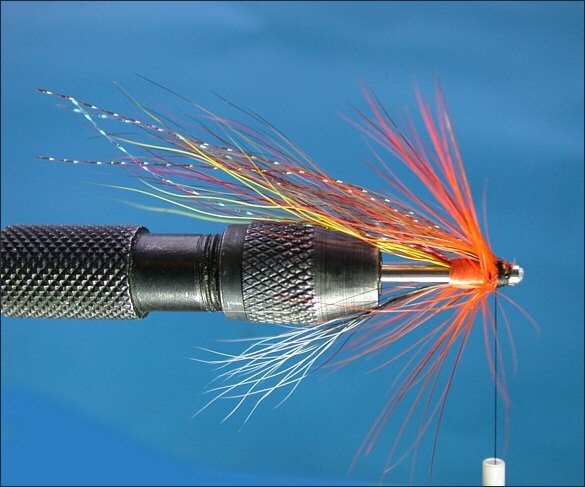 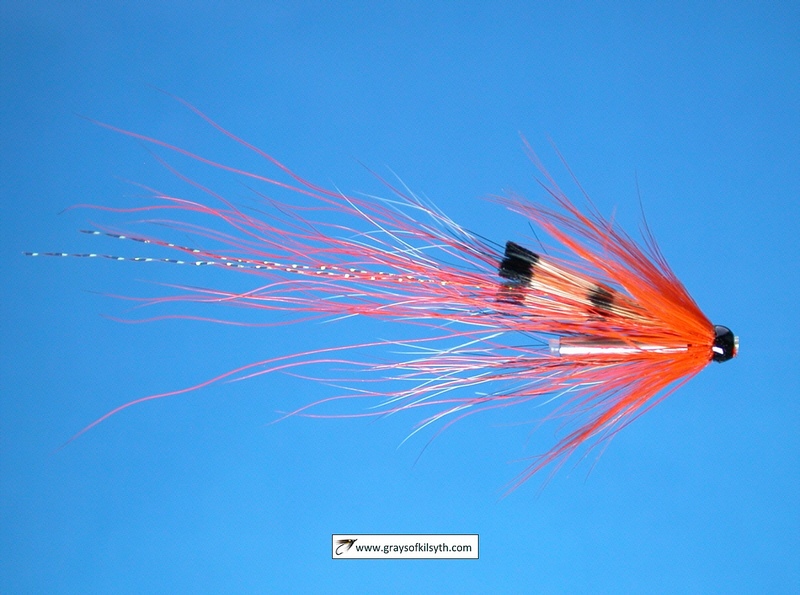 Step 6 - Tie in a sparse wing of brown bucktail plus a few strands of orange Krystal Flash. 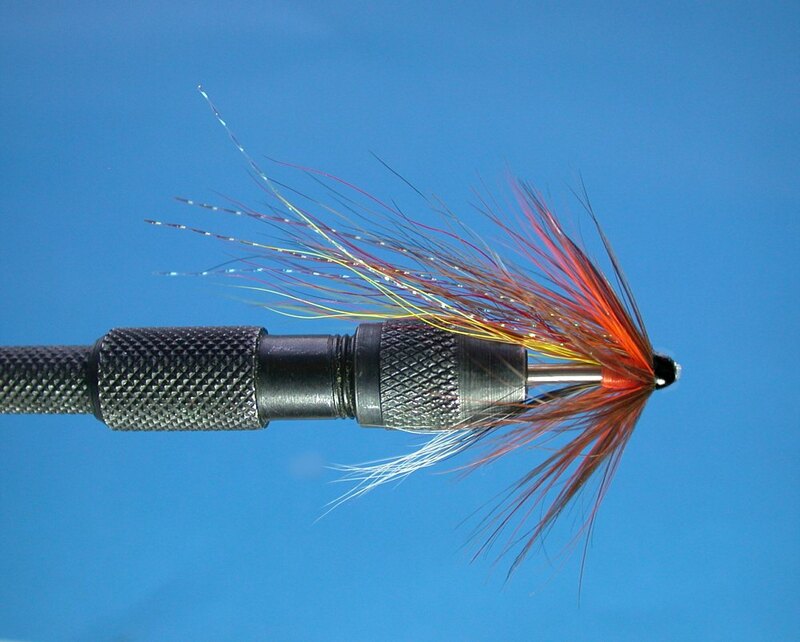 Step 7 - Tie in an orange hackle. Step 8 - Wind two or three turns of orange hackle. 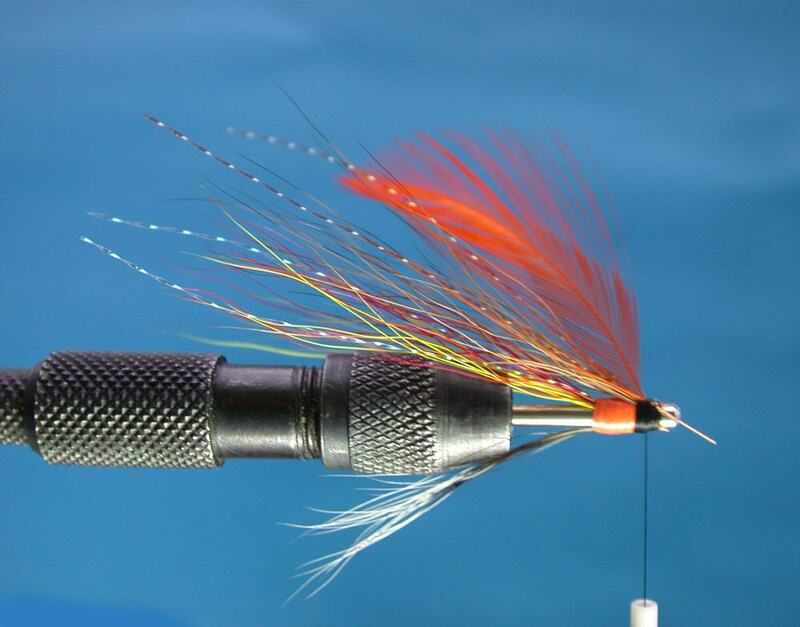 Step 9 - Wind two or three turns of brown hackle in front of the orange, form a neat head and apply two coats of Cellire No. 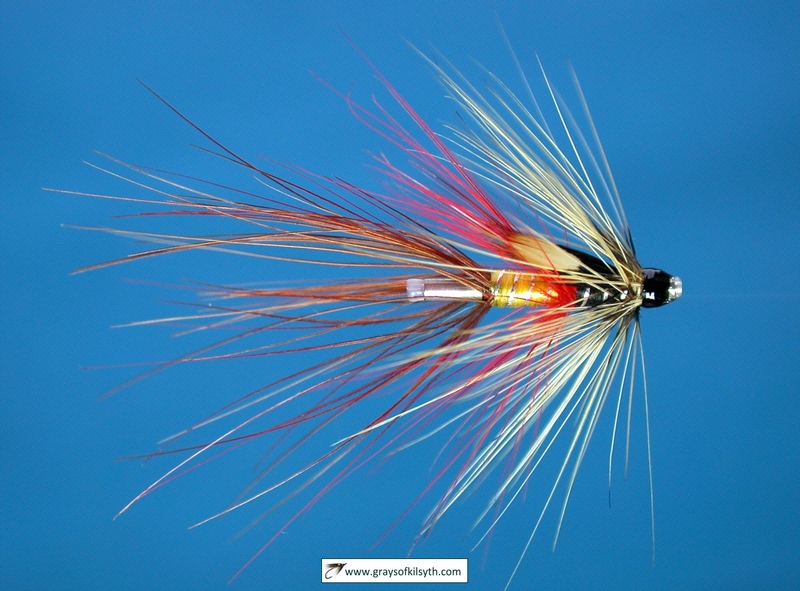 1 varnish. 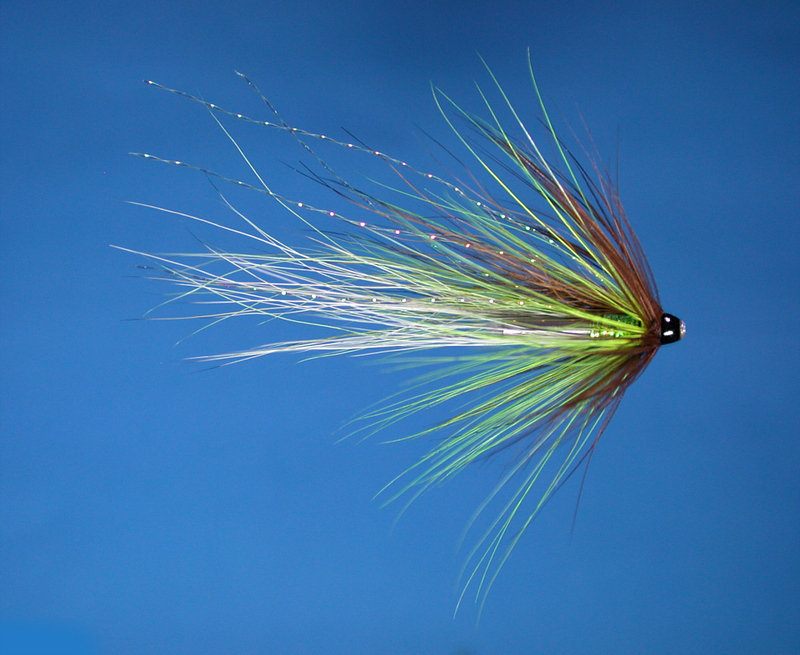 Substituting green for red in the wing/tail creates a fly with quite a different appearance, as in the example below. 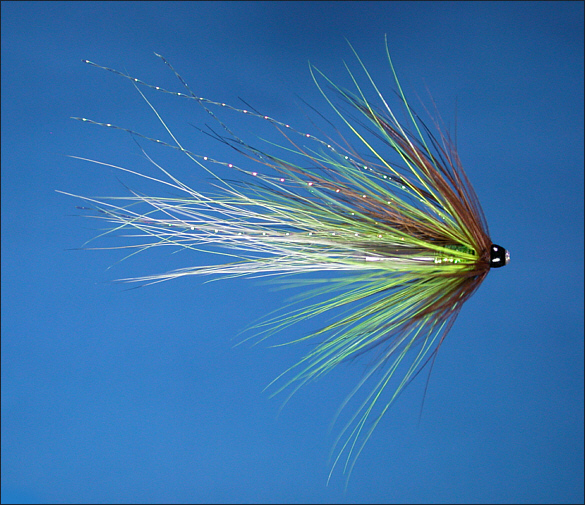 and yet another needle tube fly dressed in a similar style ..